Medina and Sons can help you choose seasonal colors in Highwood, IL. 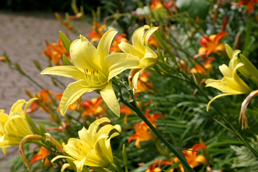 By many, seasonal colors are considered to have the greatest impact on your overall landscaped property. With using seasonal colors to match the different seasons, your property will become more noticeable through the vibrant and beautiful colors that stand out during that specific season. At Medina and Sons, we are familiar with over thousands of different types of seasonal colors that are available to you. We will provide you with advice and suggestion on the types of plants and colors that should be selected in order to increase the overall appeal and value of your property. If you are considering on performing any seasonal color landscaping, contact us today and allow us to put our years of experience to work for you.